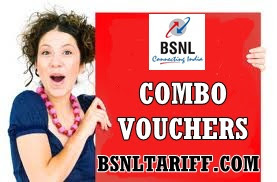 Most Trusted Telecom Brand Bharat Sanchar Nigam Limited (BSNL) has announced attractive promotional offer which is more beneficial to its customers. The Competent Authority of BSNL Karnataka Telecom Circle has extended offer of Combo Topups of Rs.111 and Rs.333 under Prepaid Mobile services across Karnataka Telecom Circle for limited period for 10 days. The Combo Topup of Rs.111 offers, Free 70 Minutes Local/STD usage calls to BSNL Network of Rs.90 usage value to be used in 20 days from the date recharge. The Combo Topup of Rs.333 offers, Free 180 Minutes Local/STD usage calls to BSNL Network of Rs.280 usage value to be used in 60 days from the date recharge. The above limited period promotional offer will be implemented and with effect from 01-07-2013 to 10-07-2013.